Did you know that men tend to be more commonly affected by hearing loss? Hearing loss can affect anyone of any age and any gender. This week, we’ll take an in-depth look at how men deal with hearing loss. 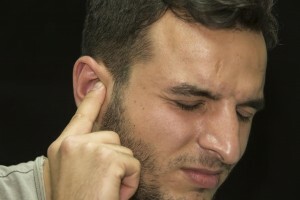 Did you know that men tend to be more commonly affected by hearing loss? We’ll also find out why that could be. Please read on to learn more! This fact may surprise you: loss of hearing is most frequent in people of a certain age range. Namely, that range is from 55 to 74. In this age range, a startlingly high percent of them don’t own a hearing aid of some sort. Of the people who do have hearing aids, roughly 25% neglect to use them. A large portion of this 25% happens to be men. Improper Functioning or Malfunctions: Malfunctioning hearing aids can be difficult to use or even put up with. The Cost: Hearing aids and their accessories, such as batteries, can be expensive. One of the main reasons why hearing aids may be neglected is the cost of upkeep. If hearing aids aren’t maintained well, they’ll only need more maintenance more often. Brain Chemistry: Men and women begin to detect something wrong with their hearing differently than the other gender will. Career Factors: Men who work in construction, or are part of the military or police services are at greater risk for hearing damage. These jobs are immensely stressful and are full of constant exposure to unprotected loud noises. How Do Men Deal with the Stigma Around Hearing Loss? It’s unfortunate, but a stigma around hearing loss and hearing aids still persists. Many cultures around the world are patriarchal, such as American culture. In a patriarchal culture, men are expected to be powerful and strong. Loss of fundamental faculties such as hearing could signal a loss of masculinity. While denial could be part of the problem, another problem is that this condition is sneaky. Oftentimes, someone with this condition, whether or not they are male, will simply not notice they have developed it. Either that or the expectations of their culture keep them silent about it. It’s important to help the men in your life, and all male loved ones to accept that having hearing loss and needing hearing aids isn’t something to be afraid of, or feel shamed by it. Instead, encourage them to seek professional help in order to address the issue. This entry was posted on Friday, June 2nd, 2017 at 1:57 pm. Both comments and pings are currently closed.